G. Scott Paterson – Toronto-based technology & media venture capitalist. G. Scott Paterson Toronto-based technology & media venture capitalist. Mr. Paterson serves as a Director of Lions Gate Entertainment (NYSE:LGF) and Chair of the Company’s Audit & Risk Committee; Chairman of Symbility Solutions (TSXV:SY), a cloud-based SaaS provider of software to the insurance industry; Chairman of Engagement Labs (TSXV:EL), a cloud-based SaaS provider of software for marketers; Chairman of FutureVault Inc, a cloud-based solution affording structured digital storage of personal, legal and financial documents; Chairman of The QYOU, a multi-screen entertainment network that brings the world’s most ‘must-watch’ made-for-web video to TV providers; and, a Director of Giftagram, a fast growing mobile app that affords consumers a personal gifting concierge. Mr. Paterson was instrumental in the evolution of NeuLion Inc (TSX:NLN) having led the company’spredecessor company JumpTV as Chairman & CEO through a successful August 2006 US $65 million IPO led by Morgan Stanley and a subsequent February 2007 US $100 million secondary financing. In 2008, Mr. Paterson negotiated JumpTV’s takeover of NeuLion becoming Vice Chairman of the Board which role he held until June 2015. NeuLion is a world leader specializing in digital video broadcasting, distribution and monetization on behalf of clients such as the NFL and NBA. Stock Exchange and Vice Chairman of the Toronto Stock Exchange. In 2009, Mr. Paterson obtained an ICD.D designation by graduating from the Rotman Institute of Corporate Directors at the University of Toronto and in 2014, Mr. Paterson obtained a Certificate in Entertainment Law from Osgoode Hall Law School. In addition, Mr. Paterson is Chairman of the Merry Go Round Children’s Foundation and a Governor of Ridley College. Authentic Web is a technology platform and services company being built to serve the evolving (dot) Brand registry market. The company’s Brand Registry Asset Manager (BRAMTM) product is the first of its kind. Mr Paterson owns an approx. 7% stake. Giftagram is an iPhone app that offers a simple way to send gifts. The company was launched in 2013 with a view to differentiating itself by curating local gift selections from leading local merchants (ex: local bakeries, clothing stores) initially focussing on the Toronto market. Mr Paterson has an approx. 15% stake. The QYOU is a Los Angeles based start-up that is launching the world’s first 24/7 linear TV channel featuring short form video content in the same way that MTV showcased music videos when founded in the early 80s. The QYOU is slated to go live with its first MVPD partner – the StarTimes DTH satellite platform – in Africa in the Fall of 2014. Amongst Mr Paterson’s partners is Les Garland who was a co-founding executive of both MTV Music Television and VH-1. Mr Paterson is Chairman of the Board and owns a minority stake. SB2 was founded by Mr Paterson in early 2014 with two digital colleagues he has worked with for years. SB2 is a technology incubator with three projects under development: FutureVault, Videopoint and Spacefy – all of which are slated to be launched as live products in 2015. Mr Paterson started his career as a stock broker at Dominion Securities Pitfield in 1985 after graduating from university. He quickly earned the nickname of ‘cold-call cowboy’ as highlighted in Peter C Newman’s 1998 best seller Titans: How the New Canadian Establishment Seized Power as he was head of the firm’s President’s Club being the #1 broker as measured by commissions generated. He was recruited to Richardson Greenshields in 1987 and moved into their investment banking division and in January 1991 was recruited to join the then newly formed Midland Walwyn where he completed his first solo mandate as a senior investment banker by successfully leading a $15 million institutional financing for Kevin O’Leary’s SoftKey Software. By 1993, Mr Paterson was regarded as one of the leading technology investment bankers in Canada as measured by financings completed. Mr. Paterson spent 16 years in the investment industry last serving as chairman & chief executive officer of Yorkton Securities. In April 1995, Mr Paterson was recruited to Yorkton from Midland Walwyn where he had been the brokerage’s top investment banker as measured by underwriting revenue. Mr Paterson launched Yorkton into the institutional business and set forth to transform Yorkton into Canada’s leading technology investment bank. He became Chairman & CEO in October 1998 at the age of 34. From April 1995 to December 2001, under Mr. Paterson’s leadership, Yorkton raised over $3 billion as lead underwriter and an additional $6 billion as co-managing underwriter for Canadian technology, internet, biotechnology and film & entertainment companies. For these industries, Yorkton was consistently ranked by Brendan Wood International as the #1 Canadian investment bank in number of lead underwritings, quality of research and market share of trading. Yorkton was lead underwriter for Canadian success stories such as Open Text, Alliance Atlantis and MDS Health Group. Mr. Paterson was Yorkton’s largest shareholder (16%) and drove its growth from $60 million in revenue reported in the fiscal year before he joined (ended March 31, 1995) to $244 million in revenue and $54 million in pre-tax profit in fiscal 2001, his last year at the company. Mr. Paterson built Yorkton’s institutional business from $3.7 million in 1995 to over $125 million in revenue in 2001. The company’s 5 year average ROE under his leadership was 74%. During this time frame, Mr Paterson successfully obtained FINRA sponsored Series 7 and Series 24 licensing in connection with being CEO of Yorkton’s US broker dealer. In his capacity as an investment banker and as a private investor, Mr. Paterson has financed more Canadian technology companies than anyone in Canadian history. Mr. Paterson has served the Canadian securities as both chairman of the Canadian Venture Exchange and vice chairman of the Toronto Stock Exchange. In 2000, Mr Paterson attended the world stock exchange conference in Australia and noted that virtually all countries worldwide had one entity that owned each of the country’s major and junior stock exchanges as well as the country’s clearing house and derivatives market. While at the conference, Mr Paterson approached Dan Sullivan, then chairman of the TSX, with a proposal to merge the CDNX with the TSX with a view to making the Canadian capital markets more efficient. Mr Paterson was then instrumental in orchestrating the subsequent take-over of the CDNX by the TSX in 2001. Mr. Paterson was a Director and 15% shareholder, from 2004 until 2009, of privately held Versa Systems Inc., a Toronto-based software company that provides technology services to 17 US state governments. Versa was successfully sold to Iron Data in 2009 for $23 million. Mr. Paterson was previously a Director, from 1994 to 2002, of publicly traded Leitch Technology Corporation, a world leader in the manufacture of broadcast studio equipment. Leitch was purchased by a unit of Harris Corporation for $592 million. Mr. Paterson has also served as a Director of several other public companies in his career including Rand A Technology Corp., Pioneering Technologies and AltaRex Corp., amongst others. Mr. Paterson has been a well-known angel investor for over 25 years and he has created a multitude of both public and private companies including a series of Junior Capital Pools that were typically branded “Pat” companies beginning with his first such company called Patcor Capital Inc. which was publicly listed as a JCP in 1996. Example ‘Pat” company Transaction: Patseek Capital Discovered Aastra Technologies (TSX:AAH). In 1995, Mr. Paterson created a public shell company called Patseek Capital and in 1996 he orchestrated, on behalf of Patseek, a reverse take-over and the contemporaneous financing of Aastra Technologies. The company’s revenues were approximately $6 million in 1996. In 2012, Aastra reported revenue of approx. $580 million and in 2013 agreed to be sold to Mitel Networks for approx. $575 million. Mr Paterson serves the community as Chairman of the Merry Go Round Children’s Foundation which he co-founded in 1997. He has donated over $600,000 to the charity since its founding. Merry Go Round’s Kids, Cops & Computers program donates brand new laptop computers (500 in 2013) to deserving yet financially disadvantaged kids in Metro Toronto. The Toronto District and Catholic School Boards select the kids for the Program and Toronto Police Service provides volunteer officers who play mentorship roles. In 1999, Toronto Chief of Police William Blair, who was then head of 51 Division, responded to Mr Paterson’s outreach and has been instrumental ever since in having Toronto Police Service as critical components of the Program. Chief Blair remains a strong supporter of the charity. Mr. Paterson has served as a Governor of Ridley College for over a decade. Soon after graduating from University, Mr Paterson has established three bursaries at the School (in memory of his maternal grandmother, his maternal grandfather and a deceased childhood friend). A decade ago, Mr Paterson established the Stock Market Award granted annually to a student and, in 2010, he made a donation to the School which was recognized by Ridley naming its Varsity Men’s Hockey Dressing Room in his honour. In 2013, Mr Paterson agreed to co-chair the School’s 125th Anniversary Fundraising Campaign and made a leadership gift in this connection. In 2000, Mr Paterson donated $1 million to the University of Western Ontario to build the G Scott Paterson Biotechnology Wing at the Schulich Medical Building. Mr. Paterson has also established two bursaries (in memory of his paternal grandfather and one in his own name) at Western. For several years, Mr Paterson has been the principal financial sponsor of Toronto’s track and field competition for children and youth with autism. The event is hosted by Geneva Centre for Autism and organized by a volunteer committee passionate about the possibilities for children with autism. Mr Paterson served as a Trustee of the Art Gallery of Ontario from 1997 through until 2003. Mr. Paterson supports multiple charities on an annual basis. 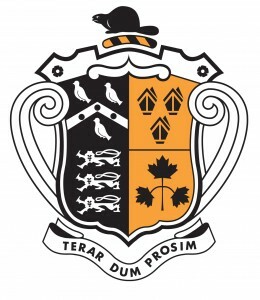 Ridley College: Mr Paterson graduated obtaining an Ontario Scholarship in 1982. University of Western Ontario: Mr Paterson earned a Bachelor of Arts (Economics) in 1985. University of Western Ontario: Mr Paterson completed successfully the Executive Program in 1994. Institute of Corporate Directors, Rotman Business School, University of Toronto: Mr Paterson successfully obtained his ICD.d designation by graduating in 2009. Osgoode Hall Law School, York University: Mr Paterson earned his Certificate in Entertainment Law in 2014. 1997: Recipient of Canada’s “Top 40 Under 40 Award“. 1998: Profiled in Peter C Newman’s Titans: How The New Canadian Establishment Seized Power. 1999: Recognized and profiled in 1999 by Time Magazine as one of “Canada’s 21st Century Leaders“. 2000: Awarded the “Purple & White Award” by Western University, the highest Alumnus recognition. 2001: Presented at Moses Znaimer’s TED Talks. 2007: Profiled in Newsweek Magazine’s global edition “Who’s Next in 2007” as one of 17 people worldwide. 2009: Presented a Certificate of Appreciation by the Toronto District School Board (re: Merry Go Round). 2009: Presented a Plaque of Appreciation by Toronto’s Deputy Chief of Police (re: Merry Go Round). 2010: Named Captain of Ridley College’s Alumni hockey team for the inaugural game played in Ridley’s newly constructed $11 million Arena complex against the Buffalo Sabres Alumni team. 2013: Keynote Speaker – 20th Anniversary of the Niagara Region Entrepreneur of the Year Awards nominee breakfast. Mr Paterson became a member of ACTRA (Canada’s union for actors) in 2013 after having performed small qualifying roles in several recent films (A Dark Truth, Breakout, A Fighting Man). In addition, Mr Paterson has acted an Associate Producer, Producer and Executive Producer of films from time to time. Mr Paterson enjoys being on set as it bridges the gap between the cost line items associated with production into real-time focus and analysis. See G Scott Paterson at IMDB.com. Mr Paterson’s favourite moments are snow skiing and water skiing with his children (6). He is an avid squash player, plays beer league hockey year round and enjoys tennis as well. He and his wife Sarah particularly love the beauty of lake country north of Toronto.